Mainline Information Systems, a leading national provider of IT solutions and services, has been named by CIOReview as “Company of the Year”. 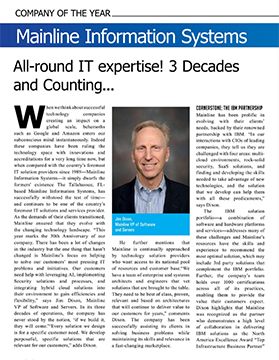 In the annual IBM Special edition of CIOReview, Mainline was recognized as one of the country’s foremost IT solutions and services providers, demonstrating all-round IT expertise for over 30 years. 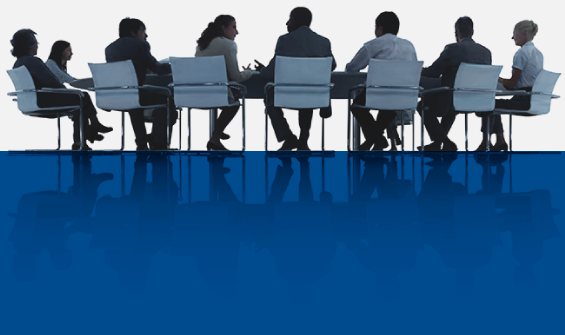 Mainline, headquartered in Tallahassee, FL, is an information technology solutions and IT consulting firm, and has more than 400 employees nationwide. Mainline Information Systems has received multiple industry accolades, including IBM Beacon Awards, IBM Innovation and Leadership Awards, CIOReview Company of the Year, CRN Tech Elite 250 and CRN Managed Service Elite 150, and Florida Trends Best Company, and is accredited by the International Enterprise Architect Institute, Inc. (IEAI). The company may be reached by phone at 850.219.5000 and on the Internet at www.mainline.com.